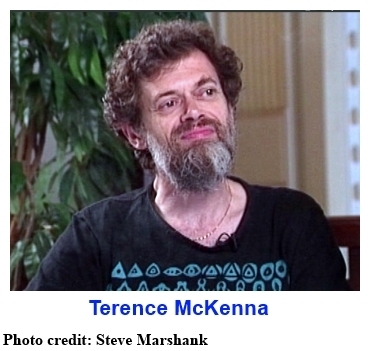 Posted in Cannabis, Culture, Medicine, Psilocybin, Psychedelics, Salvia divinorum, Science & Technology, Shamanism, Terence McKenna (mp3). Where was this “Gloves Off” talk given, Lorenzo? Concerning the serotonin comment: pretty certainly untrue, we just need to get out and be active more. Wim Hof has shown we are well adapted to life at these latitudes. Every time I hear Terence describe others’ Salvia experiences I notice that it’s exactly what I felt; I was definitely being rolled out of reality while I was crawling from my bathroom to my closet. And I can corroborate you saying Salvia isn’t for beginners. It was a very poor psychedelic substance for me to start with. It certainly didn’t stop me from looking for more answers however.